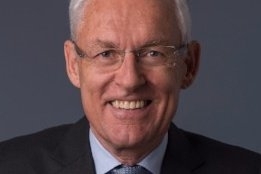 Esben Poulsson, the Chairman of the International Chamber of Shipping (ICS), says IMO's recent deal at MEPC 72 to reduce Shipping's GHG's highlights the folly of those pushing for regional regulations on the matter. The deal envisages a reduction in total GHG emissions of at least 50% by 2050 compared to 2008, a level of ambition Poulsson says "should be more than sufficient to discourage those who mistakenly advocate regional measures which would greatly damage global trade and would not be effective in helping shipping to further reduce its total CO2 emissions." Poulsson, who was speaking Thursday at Singapore Maritime Week, also called on governments to recognise the enormity of what the industry had agreed. And given some of the criticism levelled at Shipping in the wake of its omission from the COP21 climate deal, Shipping has shown a level of ambition ironically greater than some COP21 participants have made. "The shipping industry, very unfairly, is often criticised for foot-dragging. But this new IMO agreement makes it absolutely clear that shipping is now far and away ahead of the rest of the world economy in the scale of its ambition," he said. "While the ultimate goal is zero emissions, a 50% total cut by 2050 is very ambitious indeed, especially when account is taken of current projections for trade growth. "To put this in context, the aviation sector’s regulators have so far only agreed to hold its total CO2 emissions at 2020 levels, with no clear plan for absolute reduction. Moreover, compared to the 50% cut agreed by IMO, the commitments made by governments under the Paris Agreement with respect to the rest of the global economy will not see total CO2 emissions begin to reduce until the 2030s, while shipping’s total current CO2 emissions are already about 8% lower than ten years ago despite a 30% increase in trade demand." And prolonged the period of uncertainty, says Poten & Partners.